I remember as a child going to the church Easter Egg hunt and my mom, the Director of Children’s Ministries at the time, told the Easter story with L’eggs Eggs. My kids have no idea what those were, but you may remember the large 2-part plastic eggs that pantyhose came in back then. Each egg revealed a symbol about the Easter story. Over the years my mom has adapted her set and upgraded to bigger, more durable plastic eggs. Now it’s my turn. I know there are “resurrection eggs” for sale, but these are the symbols I want represented. I’ve created my own set. I found these big eggs (about 6″ in length) at Walmart and filled them with symbols of the story. Now I’ve got my basket ready to tell the story with the kids who come to St. Andrews on Saturday. The first five eggs tell the story up to Easter. The last seven are all about the resurrection. I may switch it up next time with some more Holy Week symbols (silver pieces, fragrance bottle, rooster). Butterfly- You can also see the puppet I made in seminary. It’s a caterpillar that turns into a butterfly. ​Doll clothes- Symbolizes new life offered through the death and resurrection of Jesus. Bunny with Paper Doll Strip of Babies The rabbit was a symbol of abundant new life in ancient times, and reminds us of Spring and new life. We’ll also sing songs like “Allelu, allelu!”, “Ho-ho-ho-hosanna!”, and some piggyback tunes. There will be crafts and lots of fun. We usually end up with a good number of kids from the community, our weekday school, and grandchildren in addition to our regulars. My hope is that this will be a fun way to add the story into an event and to add meaning to symbols of the season that they will recognize. I may have made a colossal mistake in ministry. 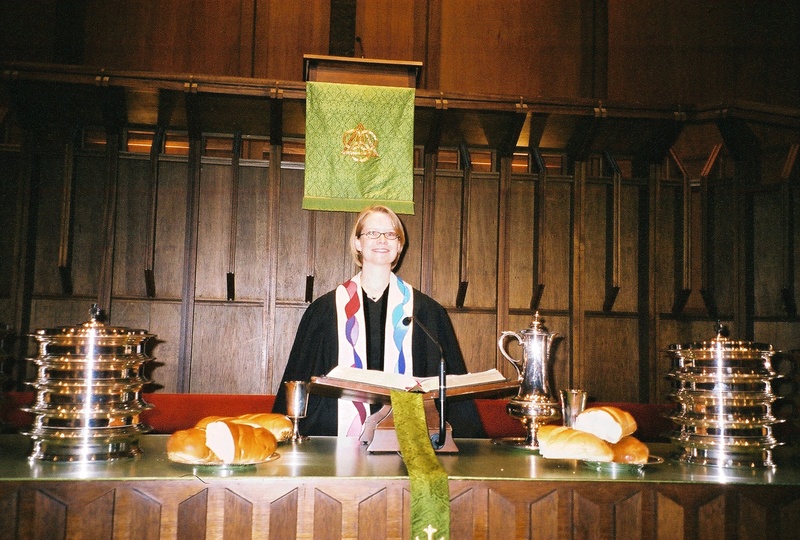 My first sermon at 2nd Pres 11 years ago was great. Hard to top, in fact. It was perfect for that specific time and largely unrepeatable. I am touched that people still tell me that they reread it or pass it on to friends, that it still speaks to them. Yesterday was my last Sunday at 2nd Pres. Thank you to my 2nd Pres family for being the hand that reached out and invited me into your boat. It has been a great journey. So here’s that sermon from almost exactly 11 years ago. I remember the first time I studied this passage in seminary. We spent time translating the Greek and comparing different manuscripts. Then we started to do what many budding Biblical scholars start to do when they encounter a miracle story… we tore it to pieces. How could Jesus walk on water? That’s a big enough problem there, but then Peter walks on water too?! I don’t think so. So we argued over the physics and the facts. One scholar we read believes that because it was dark out, the disciples couldn’t see that they were actually very close to the shore. So Jesus and Peter were just walking on some rocks and it only looked like they were walking on water. That makes much more sense, doesn’t it? But it doesn’t take seriously the fact that God is sovereign and often works in ways that we do not understand. Now my father loves to tell stories. Most of them are true and some of them actually happened. The line he likes to use is “Don’t let the facts get in the way of a good story!” Now there are times and places when this is a very bad rule to follow, but in looking at this story of Peter it serves us well. Whether or not the facts make any sense, this is a good story because there is a truth in it that we need to hear. When I first studied this in seminary I was surprised to find how much I identified with Peter. Now, almost three years later, I identify with Peter in a whole new way. When I shared these words with a colleague he said it reminded him of the passage from Genesis that we read, when Jacob says, “Surely the Lord is in this place and I did not know it.” It is hard to believe in God when the waves get bigger and the wind gets stronger. It is hard to believe in God when the cancer comes back and the dreams of recovery are shattered. It is hard to believe in God when our lives don’t work out as planned and we lose hope for the future. But the Lord is in those places with us, whether we remember or not. No one promised that having faith through the good times and the bad would be easy, but we do have the promise that we will never be alone. Faith is not about being able to walk on water, because we all know that only God can do that. Faith is “daring to believe, in the face of all the evidence, that God is with us in the boat, made real in the community of faith as it makes its way through the storm, battered by the waves.” Dietrich Bonhoeffer, in his book The Cost of Discipleship, analyzes Peter’s response. Considering Peter’s actions and faith, he states “Peter had to leave the ship and risk his life on the sea, in order to learn both his own weakness and the almighty power of his Lord. If Peter had not taken the risk, he would never have learned the meaning of faith… The road to faith passes through obedience to the call of Jesus. Unless a definite step is demanded, the call vanishes into thin air, and if people imagine that they can follow Jesus without taking this step, they are deluding themselves like fanatics… For faith is only real where there is obedience, never without it, and faith only becomes faith in the act of obedience” (p.63-4). The biggest step in faith that I have had to take was not to accept Jesus as my savior, to claim my call to ministry or go to seminary. The biggest step I have had to take was to trust God. I know that seems elementary, but it’s a tough one for me. What my own experience of sinking in the storm taught me is that I thought I was in control, but that was just a myth of control. I like to say that God is in control, but I don’t like experiencing it. I found that, in trusting God, when all my instruments of control failed, I did not drown. I started to sink and it was scary, but I did not drown. I am under no delusions that this is the last time I will feel like I am sinking. Sometimes I feel like I take that step again everyday, but I hope that the next time I feel like I am sinking I will remember that I will not drown. My hope is that when any of us feel like the waves are too much, we will trust God all the way. You see, I don’t think any of us really want to walk on water or have some other supernatural power. What we really need, and what Peter was really asking for, is to recognize that whatever Jesus commands, Jesus makes possible. That is the good news that we find in this story of Jesus and the disciples out on the sea. The good news is not that we will never encounter storms in our lives or feel like we are sinking. The good news is that we are never left alone and helpless. Saint Francis of Assisi said “All my life Thou hast been at the helm though very secretly.” I pray that this will not remain a secret for us. That when the waves rise up and it all becomes too much, you can rest in the assurance that Christ makes it possible to follow even with little faith, and that God is present in the midst of the storms we face. Now to the One who by the power at work within us is able to do far more abundantly than all we can ask or imagine, to God be glory in the church and in Christ Jesus to all generations, forever and ever. Amen. We may (will) encounter storms ahead, but… The good news is that we are never left alone and helpless. I pray that when the waves rise up and it all becomes too much, you can rest in the assurance that Christ makes it possible to follow even with little faith, and that God is present in the midst of the storms we face. ​ It is with profound love, a deep sense of affection, and mixed emotions that I am writing to you, my beloved church family. After eleven years of ministry at Second Presbyterian Church, it is time for me and my family to move on. As some of you may know, the company for which my husband, Jonathan, works was bought out by AT&T last year. Since then they have been working to make the transition to close the Little Rock offices where he is employed. Now Jonathan has been offered and accepted a new position with AT&T at their corporate headquarters in Atlanta. This is an exciting opportunity for him with room for new challenges and career growth not available for him in Arkansas. ​Jonathan has already begun work in this new position and needs to relocate to Atlanta as soon as possible. So I am writing to let you know that Sunday, September 14 will be my last day as your Associate Pastor. We will soon visit Atlanta to look at homes with the hopes of getting settled there by the end of September. As for my call, I’m not sure what’s next. I do not have a new call there yet. I will be looking in the Presbytery of Greater Atlanta for what opportunities are out there. I am grateful that in my time here I have learned and grown so much as a pastor that I feel well-equipped for whatever is ahead. ​ It has been the highest privilege and honor to be your pastor over these past eleven years. When I accepted this call I thought I’d be around for a few years. I had no idea what was ahead. You welcomed me as a young, freshly-ordained pastor. Together we started a new ministry with and for Young Adults and offered a new way to worship. I have been honored to accompany you all through births and deaths, through the launch of new programs and the end of those whose time was complete, through a capital campaign and building project, and in the everyday life and work of the church. ​Additionally, it has been a joy to have you accompany me as my life has grown and developed here. Jonathan, Lily, Jackson and I are going to be so sad to leave this dear congregation. This is where my husband and I met and were married. It is where both children were baptized and it is the only church home they have known. You all have walked beside me through my first experiences of ordained ministry, through marriage and home-buying, through my father’s illness and death, and through the birth of my two children. We have celebrated successes and weathered missteps together. Once again I start a new journey, now with a family and the experience and love of an amazing congregation. Thank you for allowing me to serve you all these years and for faithfully walking with me on the journey. I am excited to see what the Spirit has in store for me next. ​The Session, staff, and I will be sharing more information with you shortly about this transition and what steps come next in this interim period. Over the next few weeks I hope to have the opportunity to personally say goodbye to as many of you as possible. I will be keeping each of you in my prayers, and I would appreciate your prayers for me and my family during this time. It has truly been an honor and a blessing to be your Pastor. As I reflect on my 8 days with the PC(USA) general assembly I am profoundly grateful for the opportunity to share in the work, worship and fellowship of our church. I give thanks for our Reformed heritage and our polity that helps to slow us down and listen for the spirit and the voices of those often silent. I give thanks for opportunities to worship, filled with excellent preaching, thoughtful liturgy, music that speaks for us when words alone are not enough, and a spirit that got me out of my head long enough to open me up to genuine prayer and praise. I give thanks for the chance to reconnect with old friends, make new ones, and finally meet those I’ve only known through social media. 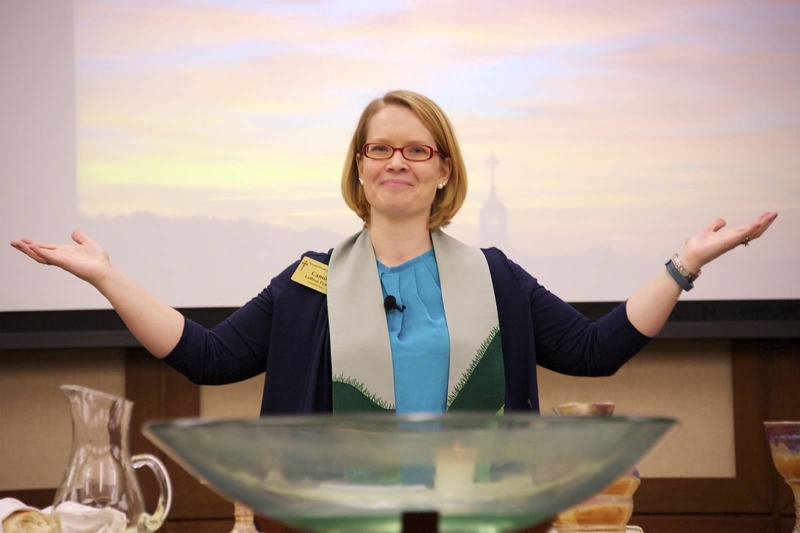 I am grateful for folks like the Fellowship of Presbyterians, who many may see as being on the “losing” side of the marriage votes, who are modeling a way of offering grace and staying at the table to unite in ministry with those with whom they do not always agree. It is my deep and profound hope that our Jewish and Palestinian brothers and sisters will see our actions as both a stand against oppression and violence AND as a commitment to continue in relationship with interfaith partners as we unite for the cause of peace and justice. We did good, hard, sometimes confusing and flawed, but always faithful work. I pray that all who read the headlines know that we voted our hopes and not our fears. And may the church, and her disciples, faithfully live in to the work we’ve done, abounding in hope that is rooted in Christ, not in our own finite selves. Thanks to all who put up with my Presbyterian posts and those who prayed for our work. Special thanks to my family for making it possible for me to go. Some friends re-posted a blog on Facebook earlier this week that inspired me. Here’s the original blog. 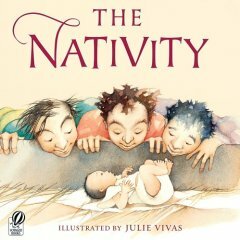 The author is Amy Broadmoore and she is a mother and library science graduate student who blogs about children’s books.http://delightfulchildrensbooks.com/2013/11/14/a-bookish-advent-calendar/. Bradmoore’s idea is simple- wrap up a Christmas book for each day of Advent. Your kids open a new one each day and the family reads it together. I have grand plans every year of doing a meaningful advent calendar. Despite the resources I have available to me, I usually fail. Instead of buying a cardboard calendar with chocolates inside or stressing about creative activities for each day, I’m going to wrap up a book for each day. At first I was intimidated thinking about buying 25 books. (Yes- this year Advent starts on December 1 so the liturgical calendar and secular countdown calendars match). Then I remembered that last year I carefully packed away all of our Christmas books with our decorations and just from memory I thought we had 6 or 8 up in the attic. The good news is that I found 13 Christmas books in the attic with our decorations. Add that to the 3 in my office and we’re almost there! The bad news is that 10 of those are really very secular Christmas books- fun, but more about Santa and snow than the miracle of our God made flesh, humbly born in a manger (or wherever it happened). I’m going to cut myself some slack this year. I think we all should. So I’m going to go ahead and wrap up Frosty and Elmo, but add more religious books in the years to come. Also, this Mama really needs to read Anna Dewdney’s “Lllama Llama Holiday Drama” this time of year. We love those Llama Llama books- it’s like she lives in my head! Most of the books that we have now were gifts from relatives and teachers. I always think books are good gift idea. Perhaps that is why we so many. If you can’t quite pull together enough books of your own, be sure to visit your public library. I know ours lets you check out books for 4 weeks plus the chance to renew. That’s plenty of time for Advent and Christmas, just so long as you don’t accidentally pack up the books with your Christmas decorations and store them in the attic. I cannot be held responsible for any fines you might incur. Lily is 6 and can read some independently, but still needs help from time to time. Jackson will turn 3 during Advent and he loves books too (when he can slow down long enough to look at one). Some of these are simple board books, some are beautifully illustrated stories that the little one doesn’t have the patience to sit through. When I got our books out of the attic yesterday the kids couldn’t keep their hands off of them. Lily and Jackson sat on the couch and Lily read Frosty the Snowman to her little brother. Those are the moments a mother dreams of. Here’s another list I found on pinterest with more book ideas. Ever since puberty I’ve struggled with my weight. Looking back now I wish I could be as “fat” as I thought I was at 16. At 5’3” and 125lbs I should have been more grateful for the shape that came naturally, but I compared myself to others and always thought I could stand to lose a few pounds. It never turned into an eating disorder, but the struggle to be satisfied with a healthy body image never went away. During my last year of seminary I joined some of my classmates, professors and staff for an on-campus Weight Watchers group. By the time graduation came I had lost 40 pounds. I had finally found a reasonable, structured, but flexible way to make good choices about food. Except for having kids and losing that baby weight while being tired, nursing, and hungry, I have maintained my weight goal for over 11 years. I did figure out, as I got older (apparently 37 is middle age? ), that what it takes to maintain has changed. If I want to continue to be able to eat chips and queso, as well as dessert most days, I need to do something other than just watch my portions and make sure I get 5 servings of fruits and vegetables in. In January 2012, at the encouragement of a few friends, I bought 5 weeks of fitness boot camp on Groupon. I figured 5 weeks of working out at 6am with a former Division 1 football player would get me in gear and back on track after the birth of my 2nd child. Having never been what you would call an “athlete” I worked harder than I ever had before. I hear some people do that kind of stuff all the time for fun. Between running (very slowly), burpees, old-school push-ups, and all sorts of brutal drills on the steps of Robinson Auditorium, I didn’t lose much weight, but I did begin to feel (pardon my French) bada$$. I was strong and I was proud. The 5 weeks ended and our class celebrated with chips and queso and a little salsa dancing. Working out at 6am four days a week for 5 weeks was a nice, clearly defined project. But the thought of working out at 6am four days a week indefinitely… was daunting. 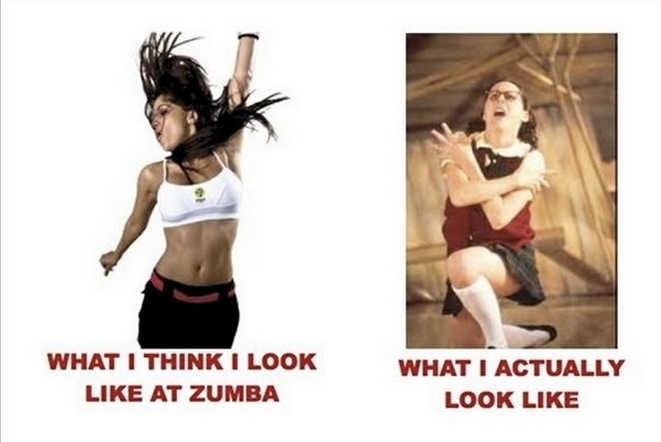 Eventually I joined a gym and found my groove in Zumba. I tried weights and other cardio, but Zumba is the only thing that gets me out bed at that time consistently. I have almost always been one of those people who gets 8 hours of sleep a night. I have always had trouble falling asleep, but I made time for it. With a full time job and 2 little kids I have a lot less control of my time and I have a harder time getting 8 hours. I read those articles and studies that come out from time to time about which is more valuable to you: getting enough sleep or exercise? Most seem to conclude that the answer is “yes.” Getting enough sleep and exercise are important. Duh. But daily I have to make the choice: if I can’t get to sleep early enough, is it better to get my sleep in the morning or get my exercise? Since the night before Easter (March 30th, not that anyone is counting), when my 2 1/2 year old climbed out of his crib, bedtime and sleeping through the night have been a challenge (at times a nightmare). I really don’t care for any advice about this right now. It’s improved some. But last night, after his daddy and I were exhausted and he was still fired up, we gave in. He sat in our bed watching TV and finally crashed at 10:30. By this point I was so mad I was almost in tears. He’s cute and sweet, but I had plans for the time after he went to sleep. I was disappointed to miss that “me” time. I had planned to have a sensible serving of vanilla frozen Greek yogurt with some chocolate chips on top as a dessert. But when I snuck away all I wanted to do was grab the bag of chocolate chip cookie dough balls in the freezer and indulge. I thought “after all J is putting me through tonight I deserve the cookie dough.” [I did eat one ball of dough… and the yogurt with chocolate chips]. That’s when I caught myself. I deserve cookie dough because it was a hard night? I felt the same way over the weekend. My husband was out of town and I was particularly proud of all I had done alone with the kids, all while keeping my cool. So I felt like I deserved some sort of reward- like a milkshake. I deserved a milkshake because I didn’t lose it with my kids? Sweets are my reward. I eat them in moderation daily. But when I want to feel like I’ve earned something or want to celebrate or commiserate or show hospitality or pamper myself… it always revolves around food, usually the chocolate or frozen kind. My first thought isn’t that I should reward myself with a new book, a pedicure, or a nap. My first thought is dessert- you know, because I deserve it. I’m a good child of the Reformed tradition, so this is when I hear the voice of my friend and former colleague saying (with a twinkle in his eye and smile on his face) “You don’t deserve anything. You’re not good. You’re a wretched worm. A redeemed wretched worm, but still a worm.” He’s right. I don’t deserve dessert. I don’t deserve anything good. But even though I don’t deserve it I am the recipient of grace. And whether or not I deserve it, sometimes mint chocolate chip ice cream is just the thing I need. My friend knows that. Always the disciplined eater and exerciser, he can be found on occasion at Arkansas Burger Company enjoying a chili dog, not because he deserves it, but because he is a redeemed wretched worm. So yesterday, around 2 am, our little man crawled into bed with us. I didn’t insist he return to his room (which would have kept us both up for some time). I simply made a little space on my pillow, turned off my alarm clock, cuddled up close with his crazy red curls in my face, and slept till 7:15. And last night the little stinker didn’t fall asleep until 10:30 pm. I know that’s not really late, but I felt cheated out of my time. After transferring him to his own bed it took me a while to settle back down myself. When my alarm went off at 5:33 I turned it off and got out of bed. (I have carefully calculated exactly how much time I need to get ready, tip-toe through the dark house in sock feet, shoes in hand so as not to wake the children, and drive to the gym in time for 6 am Zumba). Yesterday I chose sleep. Last night I chose 1 ball of cookie dough. This morning I chose exercise. And all of that is just fine.